Other than the embarrassment of it having Flat written on it are there any problems with this once sump and oil pump are swapped? While waiting for the deluge of replies that are no doubt coming on this I started to strip the engine. I took the big oil filter mount off and found this. I wonder what the oil pressure was like ?? I don't know if it's been like that from new but the bolts hadn't been disturbed for a very long time and the gasket was well welded to the housing. Continuing my Beta parts rationalisation... I have a spare Beta engine block with matching numbered caps available in my garage should it be required. It is in original (ready for re-bore) condition with an apparently good aux d/s bearing. Happy to discuss if you're interested. Much appreciated but the Monte block I've got looks to be pretty good - notwithstanding the gasket fitting. 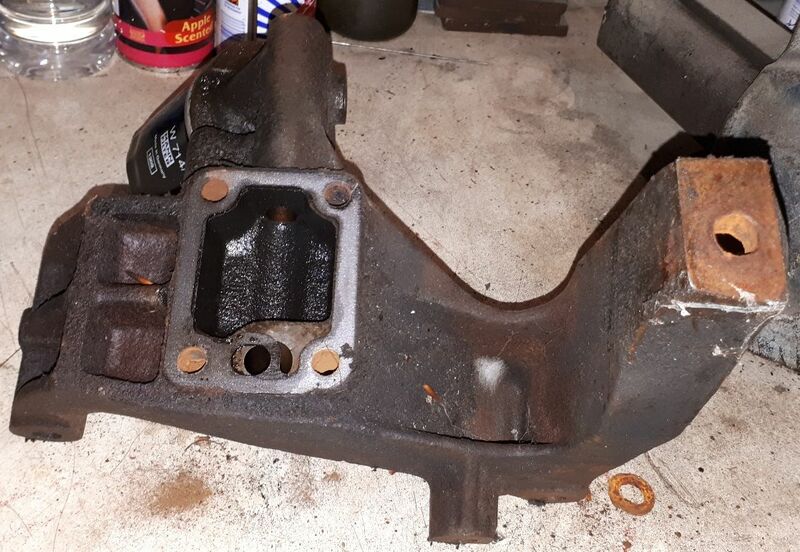 Take the Beta Block, the Monte one has different engine mount castings that will be a pain to use in a Beta. You can machine Beta one's to go in a Monte as I have done but tricky to o the other way round. Sorry for the bad news. Bugger.... Thanks Eric I'd completely failed to notice that. Still I got a good crank out of it so probably still worth it. I’ve seen your pm Stuart and I’m sure we can come to an arrangement. I have a spare crank too! I think that gasket was flipped wrong way around on install. How did the bearings look?